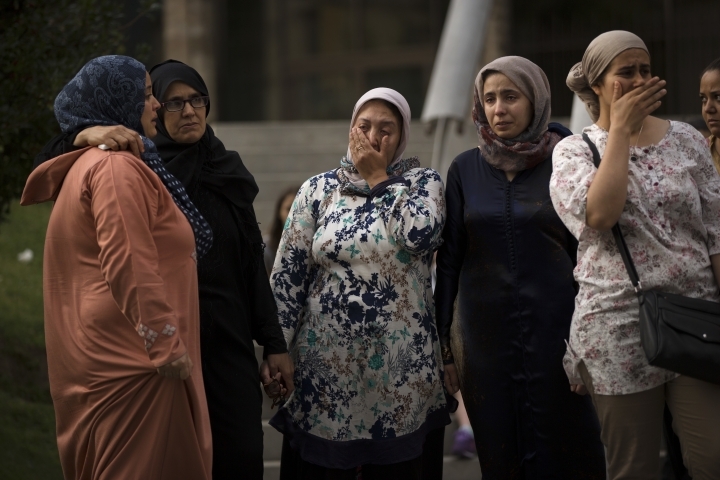 Investigators searched the home of Abdelbaki Es Satty, an imam who in June abruptly quit working at a mosque in the town of Ripoll, the home of the Islamic radicals behind the attacks that killed 14 people and wounded over 120 in the last few days. 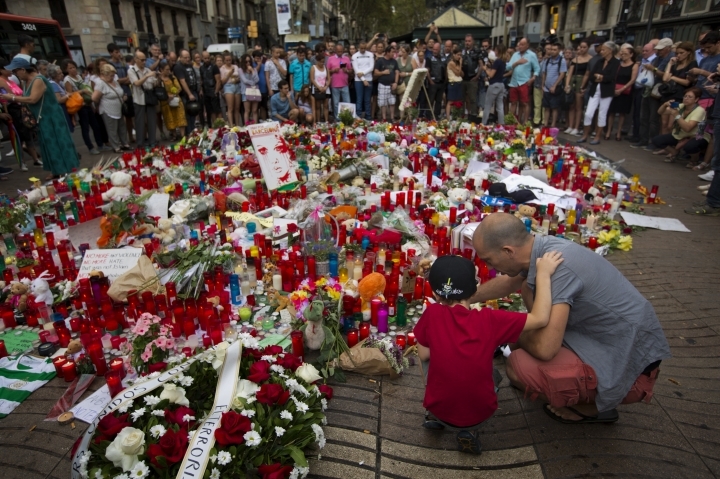 Police were trying to determine whether Es Satty was killed in a botched bomb-making operation on Wednesday, the eve of the Barcelona bloodshed. 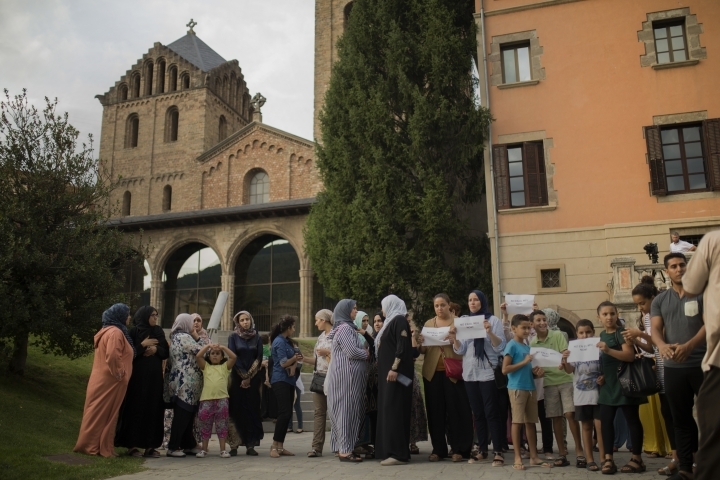 His former mosque has denounced the deadly attacks and weeping relatives marched into a Ripoll square on Saturday, tearfully denying any knowledge of the radical plans of their sons and brothers. At least one of the suspects is still on the run, and his younger brother has disappeared, as has the younger brother of one of the five attackers slain Friday by police. The Islamic State group has claimed responsibility for both. Everyone so far known in the cell grew up in Ripoll, a town in the Catalan foothills near the French border 100 kilometers (62 miles) north of Barcelona. 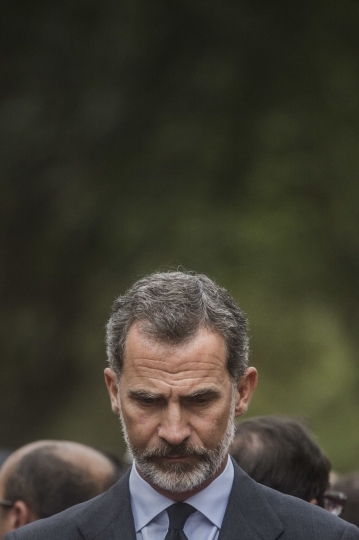 Spanish police searched nine homes in Ripoll, including Es Satty's, and two buses, and set up a roadblock that checked each car entering the town. 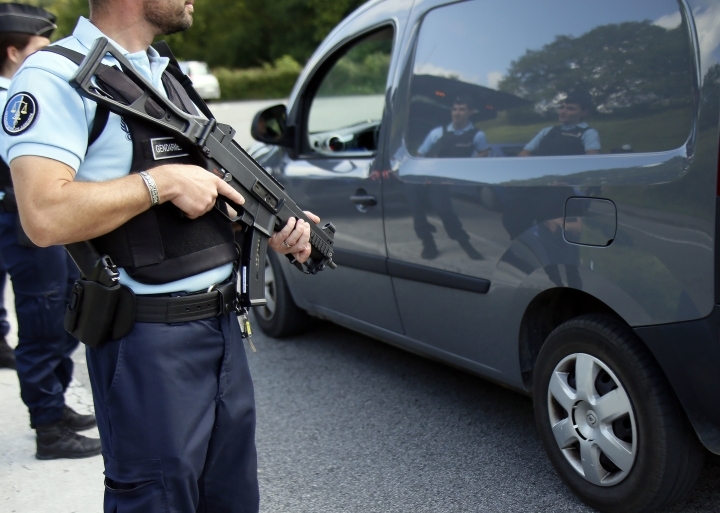 Across the Pyrenees, French police carried out extra border checks on people coming in from Spain. 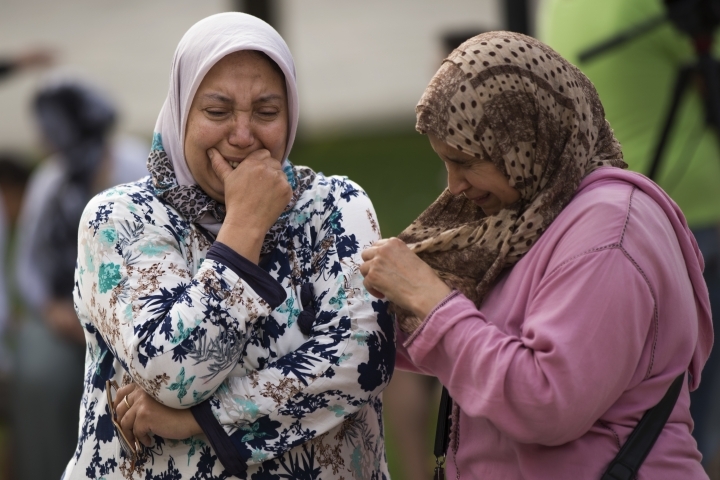 Halima Hychami, the weeping mother of Mohamed Hychami, one of the attackers named by police, said he told her he was leaving on vacation and would return Aug. 25. His younger brother, Omar, slept late Thursday and left mid-afternoon. 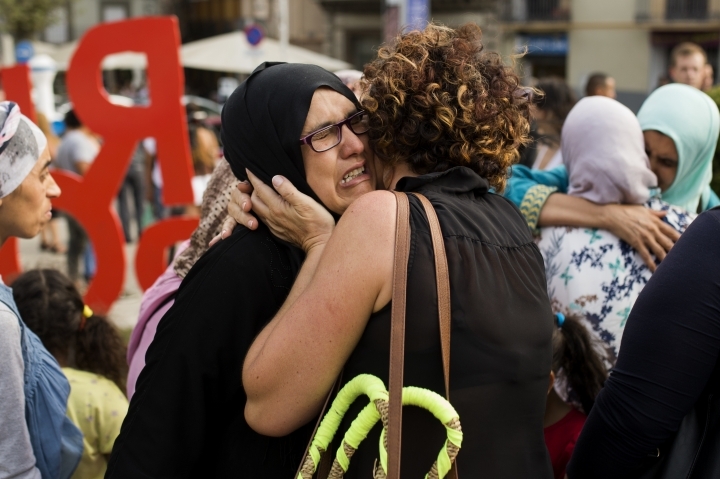 Mohamed Hychami is believed among the five attackers shot to death by police in Cambrils. She hasn't heard from Omar since he left. 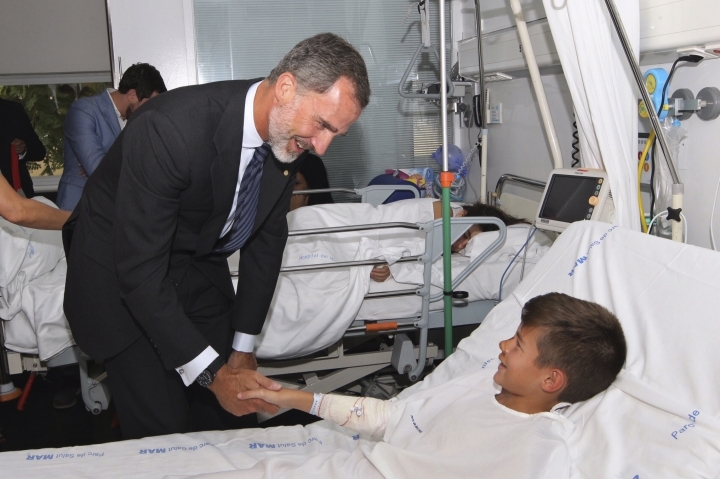 Even with Abouyaaquoub at large, Spanish Interior Minister Juan Ignacio Zoido declared the cell "broken" Saturday. In addition to the five killed by police, four were in custody and one or two were killed in a house explosion Wednesday. He said there was no new imminent threat of attack. 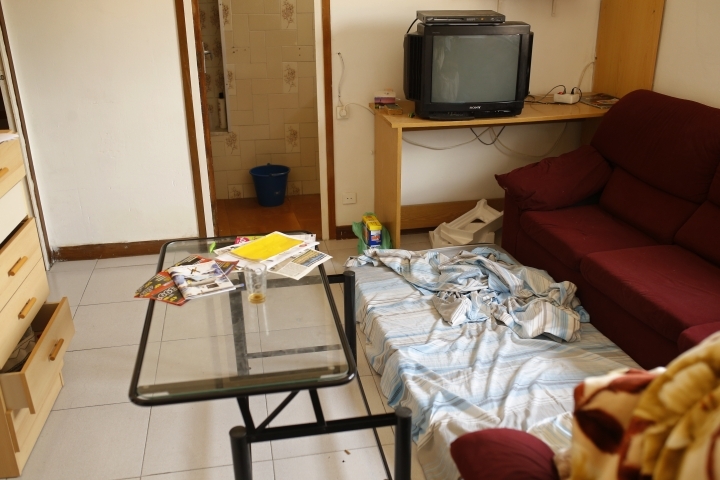 Police also conducted a series of controlled explosions Saturday in the town of Alcanar, south of Barcelona, where the attacks were planned in house that was destroyed Wednesday by an explosion. Authorities had initially thought it was a gas accident, but took another look after the attacks. Initially, only one person was believed killed in the Wednesday blast. But officials said DNA tests were underway to determine if human remains found there Friday were from a second victim. A police official, speaking on condition of anonymity to discuss the ongoing searches, said investigators believed the remains may belong to Es Satty. The official said investigators also discovered ingredients of the explosive TATP, used by the Islamic State group in attacks in Paris and Brussels, as well as multiple butane tanks that the group may have wanted to combine with the homemade explosive and load into their vehicles. 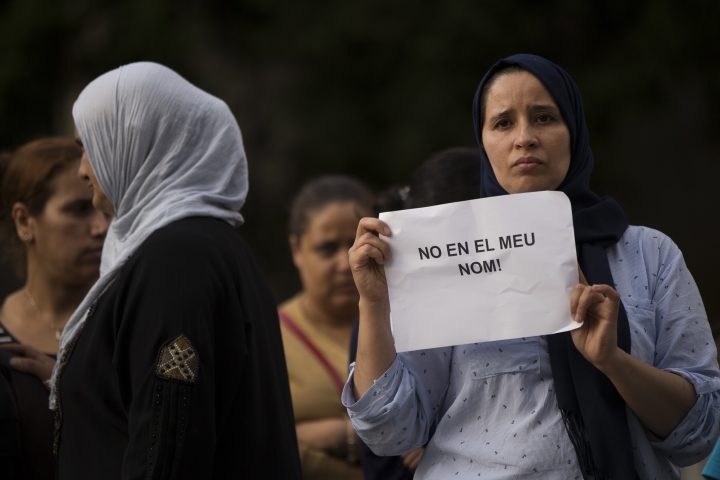 The president of the mosque where Es Satty preached, Ali Yassine, said he hadn't seen him since June, when he announced he was returning to Morocco for three months. 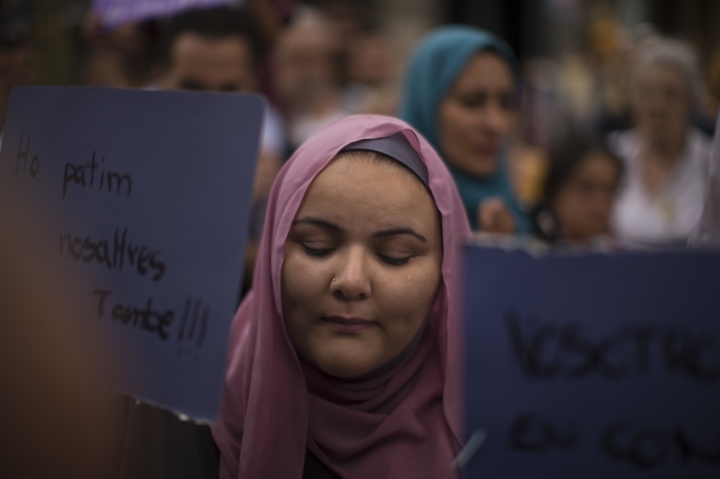 "He left the same way he came," said a bitter Wafa Marsi, a friend to many of the attackers, who appeared Saturday alongside their families to denounce terrorism. 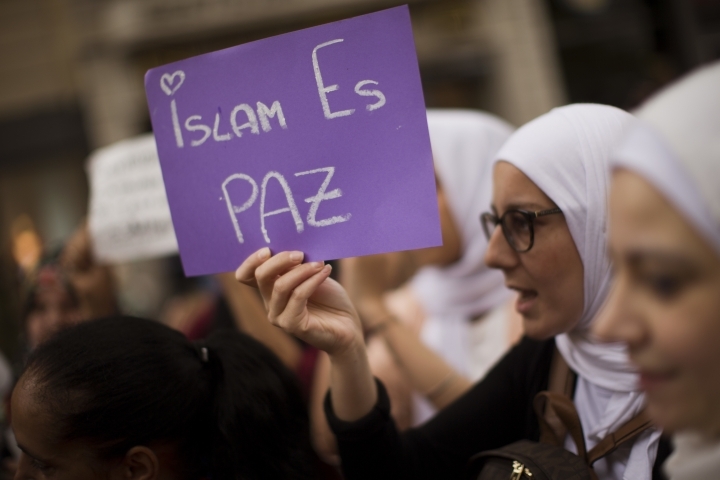 Members of Ripoll's Muslim community denounced the vehicle attacks and offered their sympathy to the families of the victims. 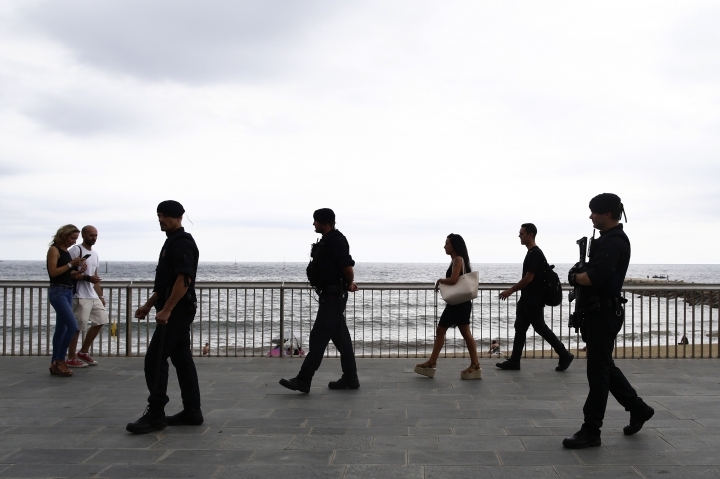 Authorities said the two attacks were the work of a large terrorist cell that had been plotting for a long time from the house in Alcanar, 200 kilometers (125 miles) down the coast from Barcelona. The lone named suspect still at large, Abouyaaquoub, figures on a police list of four main suspects sought in the attacks. 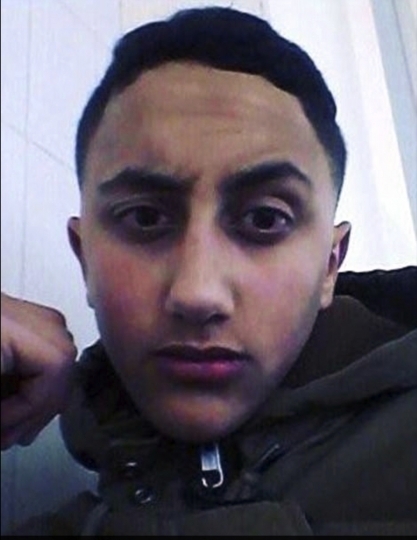 Also on the list is 17-year-old Moussa Oukabir, whose brother Driss reported to police that his documents stolen. 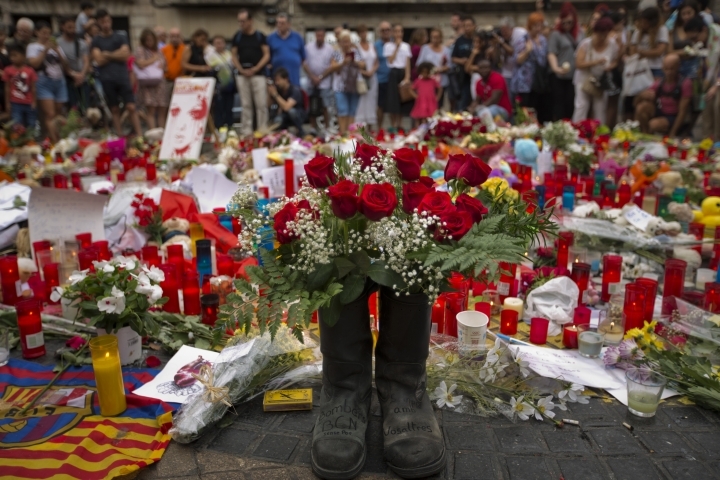 Ripoll's mayor confirmed that those documents were found in a vehicle used in the attacks. 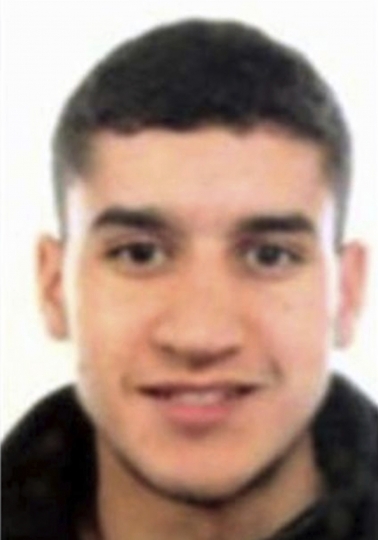 Moussa was one of the five radicals killed, and Driss is in custody, police said. 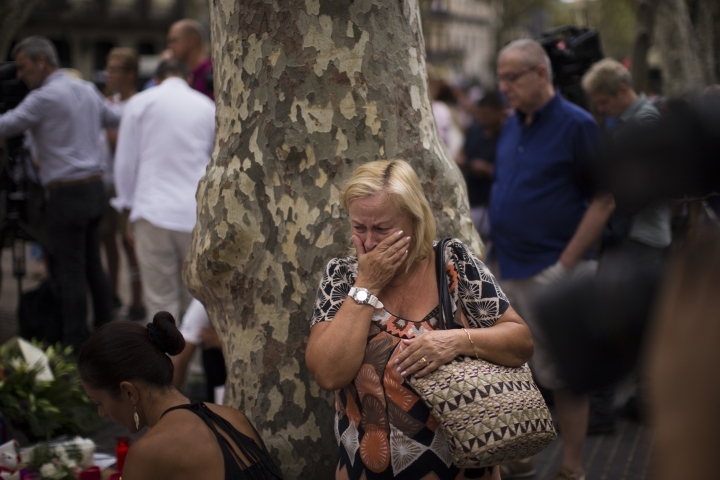 A French police official said authorities were also looking for a Kangoo utility vehicle that was believed to have been rented in Spain by a suspect in the Barcelona attack that might have crossed the border. Fatima Abouyaaquoub, sister-in-law of the Hychami brothers and the cousin of Younes Abouyaaquoub, said she found it all hard to believe. Abouyaaquoub's mother said his younger brother, Hussein, left home Thursday afternoon and hasn't returned. 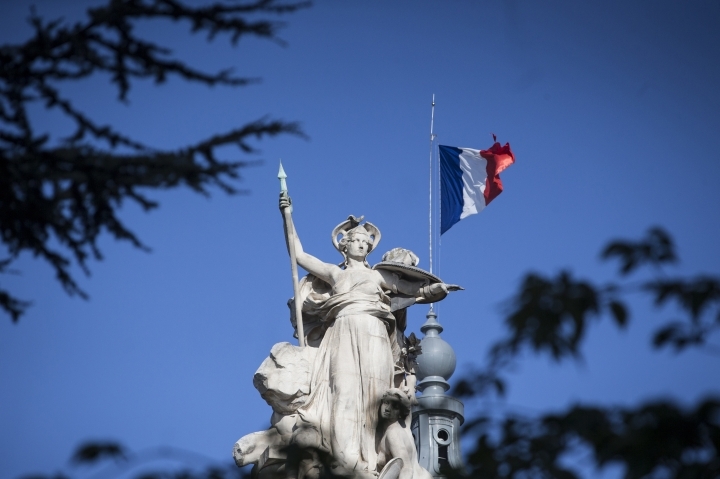 The sheer size of the cell and the close family relations among the attackers recalled the November 2015 attacks in Paris, in which Islamic State attackers struck the national stadium, a Paris concert hall and bars and restaurants nearly simultaneously, leaving 130 people dead. 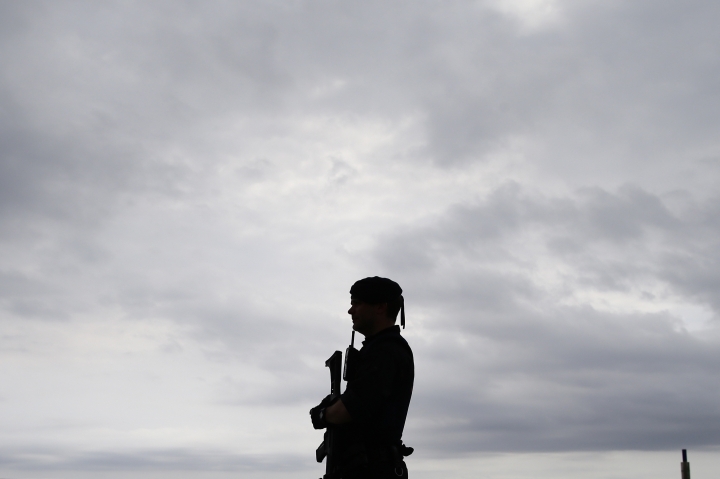 Since then, the extremist group has steadily lost ground in its self-declared caliphate in Iraq and Syria. 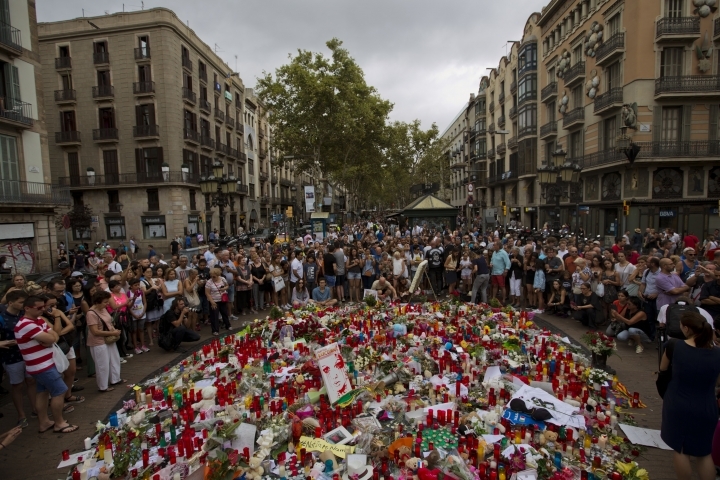 Islamic extremists have made a point of targeting Europe's major tourist attractions in recent years — especially in rented or hijacked vehicles. 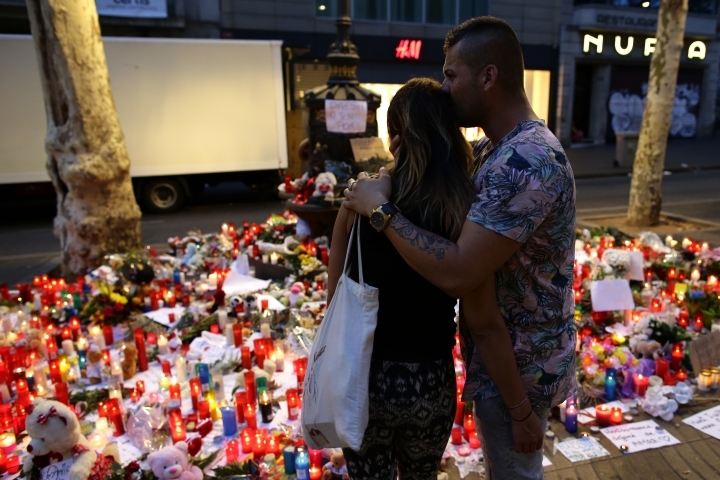 Yet Spain decided to keep its terrorist threat alert at level 4 — out of five — declaring Saturday that no new attacks were imminent. 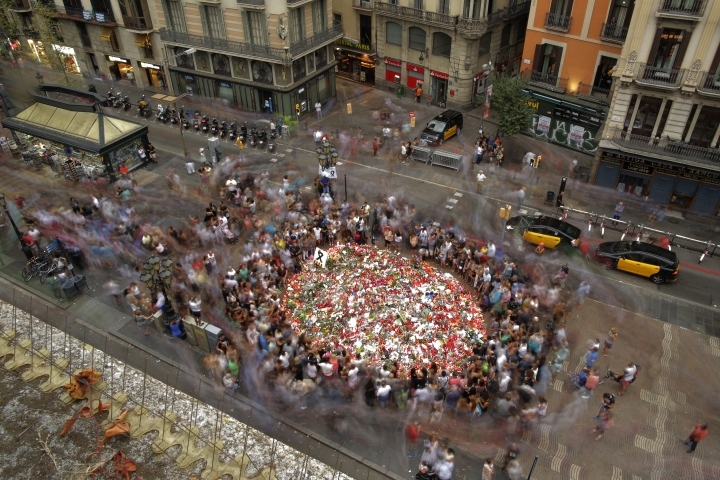 Zoido said the country would reinforce security for events that draw large crowds as well as at popular tourist sites. The dead and wounded in the two attacks came from 34 countries. 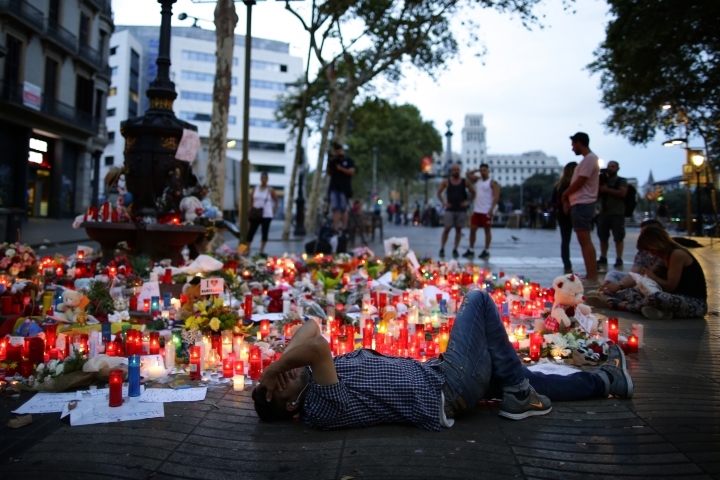 By late Saturday, the Catalan emergency service said 53 people remained hospitalized, 13 of them in critical condition. The 14 people killed spanned generations — from age 3 to age 80 — and left behind devastated loved ones. 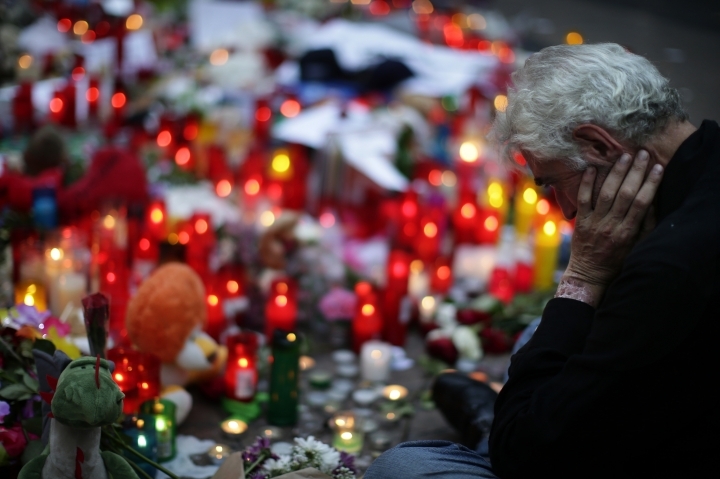 They included a grandmother, 74, and her granddaughter, 20, from Portugal who were visiting Barcelona to celebrate a birthday; an Italian father who saved his children's lives but lost his own; an American man who was celebrating his first wedding anniversary in vibrant Barcelona. 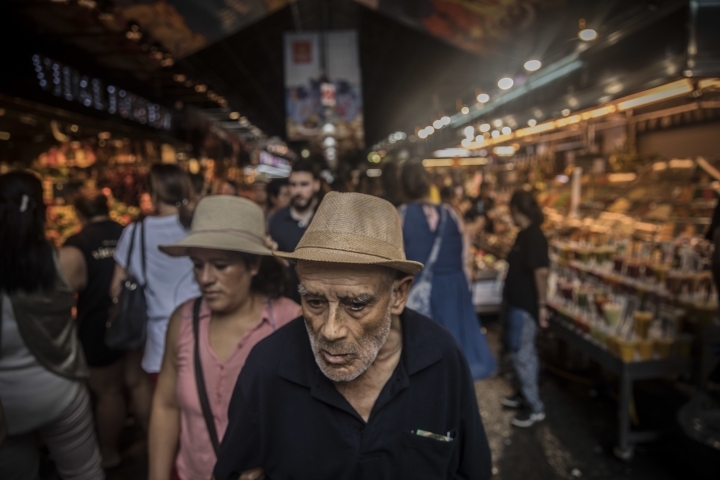 Francisco Lopez Rodriguez, a 57-year-old Spaniard, was killed with his 3-year-old grand-nephew, Javier Martinez, while walking along the Las Ramblas promenade. His widow Roser is recovering from her wounds in a hospital. Wilson contributed from Barcelona. 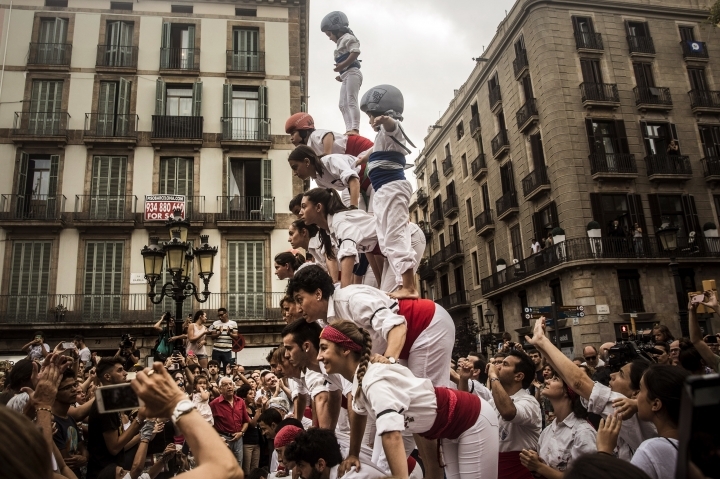 Angela Charlton in Paris; Nicole Winfield in Rome; Mystyslav Chernov in Ripoll; Oleg Cetinic in Alcanar; and Ciaran Giles in Madrid contributed.